An oversized sushi bar serving up made-to-order bites? Yes, please. How come we don't have a word for enjoying the beauty of flowers? We're not sure, but at least the Japanese do: hanami. The season's annual Hanami After Dark includes a lot of things at least equally enjoyable as cherry blossoms. 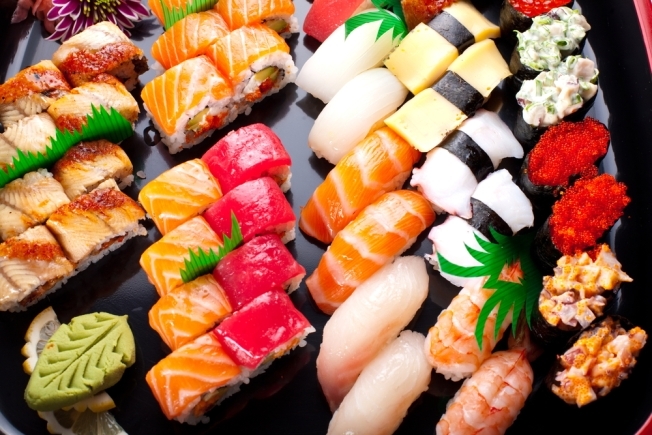 Case in point: an oversized sushi bar serving up made-to-order bites? Yes, please. The night that also includes sake, wine, shochu, hors d'oerves from chefs from along the eastern seaboard, at the Ronald Reagan Building on Sunday, April 1 from 5 to 8 p.m. The event will also feature a traditional Maguro Kaitai ceremony by Chef Toru Ogam of Oga's Japanese Cuisine in Boston. The ritual breaks down an entire 150-pound tuna for sushi. Art Party Japan will provide auction items from Disney, DreamWorks, Nickelodeon and more. Tickets are $175, with proceeds to benefit TOMODACHI, recovery efforts for last year's Great East Japan Earthquake.